This single-coil RW/RP left-handed pickup boasts vintage-correctness and warm, sweet tone. Get more of your distortion from your amp rather than the pickup with the APS-1, from legendary manufacturer, Seymour Duncan. The Seymour Duncan APS-1 Alnico II Pro Strat Staggered RW/RP Pickup is a vintage-correct true single-coil and is designed for left-handed guitars. It's recommended for country, pop, rockabilly, blues, surf, ska and classic rock. Players who have used pickups amongst the APS-1 family include CMarc Ford (Ben Harper & Black Crowes), Kevin Hunter (Shania Twain), Dale Oliver (Reba McIntire), Jeff Pevar (CPR). The APS-1's hand ground Alnico 2 magnets and moderate windings (Heavy Formvar® wire) help give a warm, sweet tone with more natural string vibration for great sustain. The APS-1 allows you to get more of your distortion from your amp rather than the pickup itself, so for example you can back off the crunch and get wonderful clean tones with softer attack. The APS-1 has a rounder sound with a spongier bass response, compared to the SSL-1. 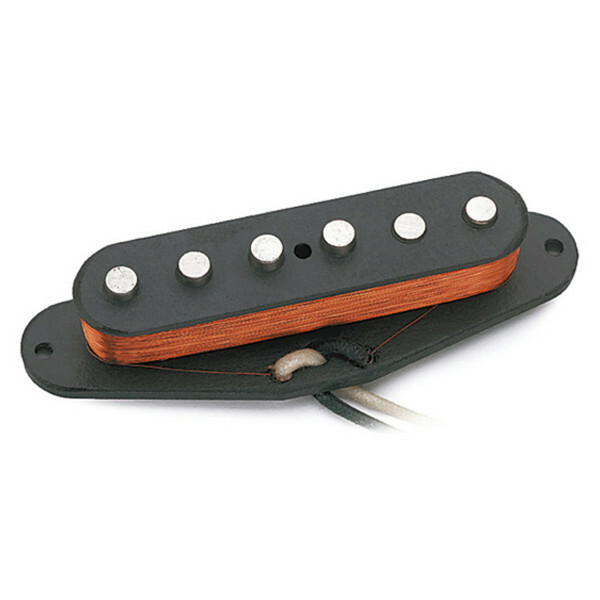 This pickup comes with a waxed cloth hookup cable and vintage-style "keyed" bottom plate. The APS-1 is designed for warmer toned ash, alder or basswood body instruments and works with maple and rosewood fingerboards. This pickup is also available in a regular version or in a Calibrated set (Right-Handed).